The What: Blackmagic Video Assist 4K is a portable all-in-one professional monitor and video recorder that can be used to add professional recording and monitoring to any SDI or HDMI camera. Blackmagic Video Assist 4K features a bright, high-resolution 7-inch monitor for checking focus and framing, two high speed recorders for non-stop HD and Ultra HD recording, two extremely high-quality XLR microphone inputs for professional audio recording, a built in speaker, and more. The What Else: Blackmagic Video Assist 4K features two built-in high-speed UHS-II recorders that work with the latest high-performance SD cards, making them fast enough to record Ultra HD video up to 2160p30 on widely available, inexpensive SD cards. Files are saved as broadcast quality 10-bit 4:2:2 video in either ProRes or DNxHD formats, making them compatible with all popular editing software, like DaVinci Resolve, so you can start editing immediately without having to transcode or convert files. Recording can be triggered to start and stop using LANC or over HDMI or SDI from the camera. With two built in recorders, customers get non-stop recording because when one card is full it automatically continues onto the next. The new high-speed SD cards are compatible with existing SD card readers so they can be mounted directly on a computer for cloning and backup using the included DaVinci Resolve software. Blackmagic Video Assist 4K is also an extremely high-quality audio recorder that features two mini XLR inputs with 48V of phantom power, so customers can attach external microphones. This totally eliminates the problems with auto gain controls on DLSR cameras and, with an amazing low electrical noise floor of -128dBV, the recordings are incredibly high quality and sound dramatically better than camera audio. Sound is recorded into the same file as the video, so customers don’t have to worry about AV sync between separate audio and video files. Durable and lightweight, the Blackmagic Video Assist 4K features a bright, 7-inch high-resolution 1920x1200 monitor and touchscreen with a wide 135-degree viewing angle. The extra resolution of the screen lets customers view 16:9 sources and see critical status information without covering the image. The display is also a touchscreen that lets customers use simple tap and swipe gestures to display camera information, change settings, and evaluate audio and video levels. Blackmagic Video Assist 4K features an elegant heads-up display overlay that lets customers keep their eyes on the shot while viewing the current input frame rate, histogram, audio meters, timecode, and more. For power, Blackmagic Video Assist 4K features two standard LP-E6 battery slots that allow hot swapping of batteries while in use, and it can be powered using the 12V DC input. The batteries are discharged serially, so only one is used at a time. When there’s power, the batteries are charged in parallel, which saves time when recharging. The Bottom Line: Blackmagic Video Assist 4K is designed for customers who need better monitoring and higher quality recording. Older cameras often feature custom and hard-to-use file or tape formats, while lower-cost consumer cameras often have poor-quality file formats and small screens, limiting their professional use. 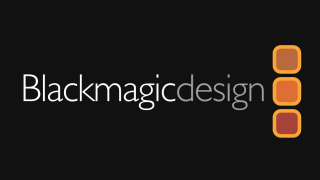 Blackmagic Video Assist 4K solves this problem because it works with every type of camera, from DSLRs to older, tape-based camcorders, and even the latest digital film cameras.